Due to seasonal changes, there are various opening times set throughout the year to coincide with daylight hours. Typically, the Cape Of Good Hope gate opens at sunrise and closes at sunset, and vehicles leaving after closing time are fined accordingly, so be sure to adhere to the times indicated at the gate when entering the park. There are few sights as spectacular as the sun rising over False Bay, and we highly recommend making the extra effort to get there at opening time to witness this event. Find out how to download your free Cape Point Audio Tour here. Follow the directions to Sea Point, then follow the coastal road along Camps Bay and Llandudno to arrive in Hout Bay (via M6). From there, take Chapman’s Peak Drive, which will take you to Noordhoek. Turn right to follow the magnificent coastline to Kommetjie, Soetwater, Witsand, Misty Cliffs and Scarborough, where you then drive inland for a few kilometres. Table Mountain National Park’s entrance will be on your right. Take the Eastern Boulevard out of town and follow the directions from the M3 to Claremont. Continue on the M3 until you reach the end of the highway, then turn left towards Muizenberg and Fish Hoek. Drive along the coast to the historic naval village of Simon’s Town. Continue along the coastal road to Table Mountain National Park entrance on your left. A scenic drive through the National Park leads you to the parking area at Cape Point. Please note, the speed limit in the reserve is 60km/h! The direct drive from the gate to Cape Point will take you from 10 to 15 minutes. The TMNP Activity Permit is required by individuals who regularly make use of the Park to undertake a specific/variety of activities. A valid Marine Coastal Management licence is required when purchasing Level 3 line fishing or level 4 activity permits respectively for use in Cape of Good Hope (Cape Point). The Cape of Storms, the original name accorded to the present Cape of Good Hope, was not given lightly to one of the most notoriously dangerous coastlines in the world. 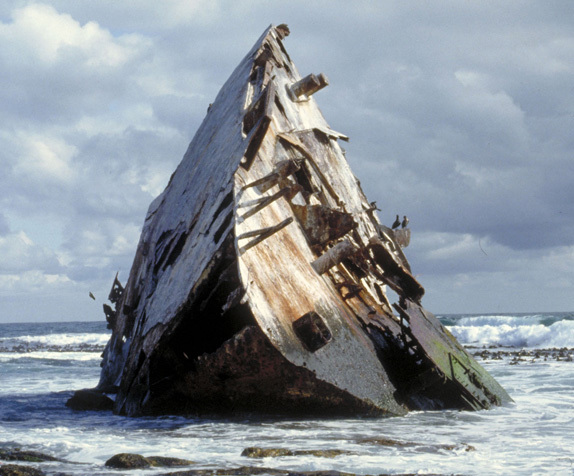 Evidence of numerous shipwrecks litters the Cape coast from west to east, some of which may still be seen today around Cape Point. site. Find out how to get it on your phone here. 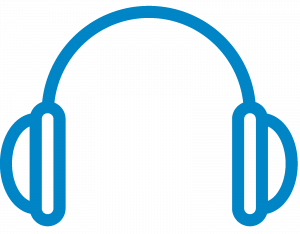 Don’t forget to download the free Cape Point Audio Tour. Click here to find out how. From this viewpoint on the Atlantic side of the Peninsula, look towards where the Lusitania collided with Bellows Rock in 1911. It is also the site of three other wrecks: the Thomas T Tucker, wrecked in 1942; the Nolloth, wrecked in 1965 and Le Napoleon, wrecked in 1805. A cairn among the fynbos marks the route to the beach from Olifantsbos. The Thomas T Tucker ran aground at the Point after striking Albatross Rock. Its hull is clearly visible on the shore. There is no visible wreckage of the Nolloth today. A French pirate ship, Le Napoleon, foundered after being chased ashore at Olifantsbos by the Royal Navy frigate Narcissus on December 25, 1805. The outline of the ship and some cannons are often visible near the car park. 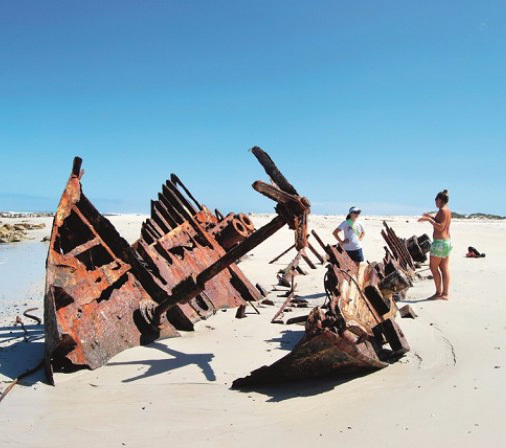 From the parking area, take a stroll down to the beach, or choose the trail leading along Kleinkommetjie Ridge to Die Hoek van Bobbejaan to view the remains of the Phyllisia, a steam trawler wrecked in 1968. The better option is to take the Kleinkommetjie route, which treats visitors to stunning bay scenery and a long-distance vista of the beach stretching towards Brightwater. Bank on a walk of 1.5 hours each way. If you choose the lower hiking trail, the walk is about 20 minutes longer. Buffels Bay, or Buffalo Bay, is said to have earned its name from a ship that was wrecked during the 1700s. Legend has it that a ship transporting buffalo apparently hit the rocky shoreline and broke apart, freeing the animals, which swam across the bay to freedom. There may also be some visible wreckage of the Tania , a fishing trawler wrecked at Buffels Bay in 1970. A walk all the way to the rugged and rocky Cape Point will take you to the site from where legendary ghost ship, the Flying Dutchman, has been sighted over the years. 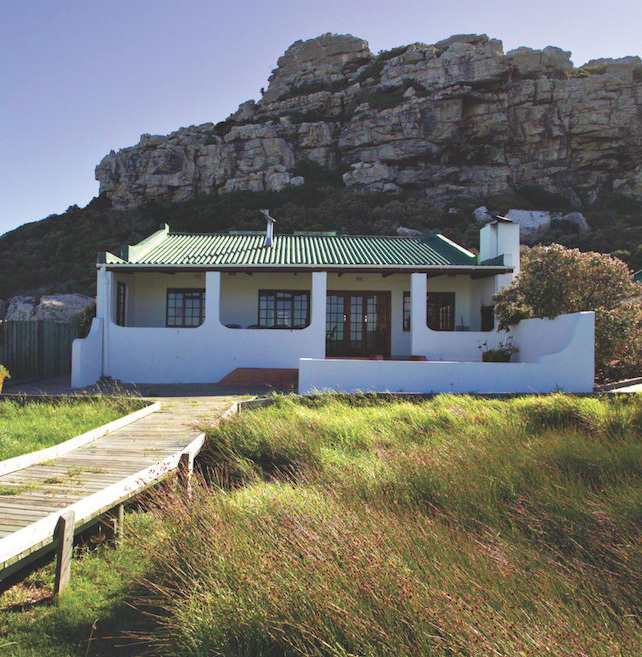 Ideal for family holidays, the Eland and Duiker Cottages are situated in the Cape of Good Hope section of the Park. Both are electrified, offer fully equipped kitchens and linen is provided. Eland Cottage sleeps six people with one master bedroom and two bedrooms each furnished with two ¾ beds. There is an open-plan kitchen/ lounge area and an enclosed patio with a Jetmaster fireplace. 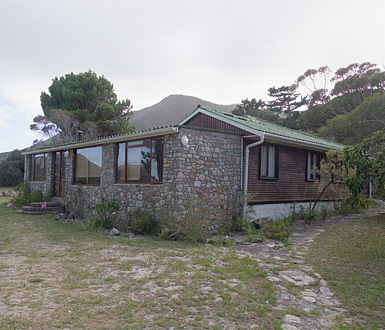 Duiker Cottage sleeps six people with one master bedroom and two bedrooms each furnished with two ¾ beds. There is an open-plan kitchen/ lounge area with a Jetmaster fire place in the lounge. Duiker has its own boma and braai area. Friday’s. Alternatively email musam@sanparks.org. Telephonic reservations are recommended. open-plan lounge and dining area complete with a cosy fireplace. For warm summer evenings there is generous patio and braai area with a boardwalk leading to the beach. For larger groups there is an annex that sleeps an additional six people – one two-sleeper and one four-sleeper. The annex has its own bathroom and linen is provided. As the lights are solar powered and water is sourced from tanks, guests are asked to conserve energy and water. Buffelsfontein Visitor Centre on + 27 (0) 21 780 9204 between 09:00 to 16:00, Monday to Thursday and 09:00 to 15:00 on Friday’s. Alternatively email musam@sanparks.org. Telephonic reservations are recommended.